We often think of running as an activity that involves gross injuries. Such an impressions ignore the possibility of safety training. 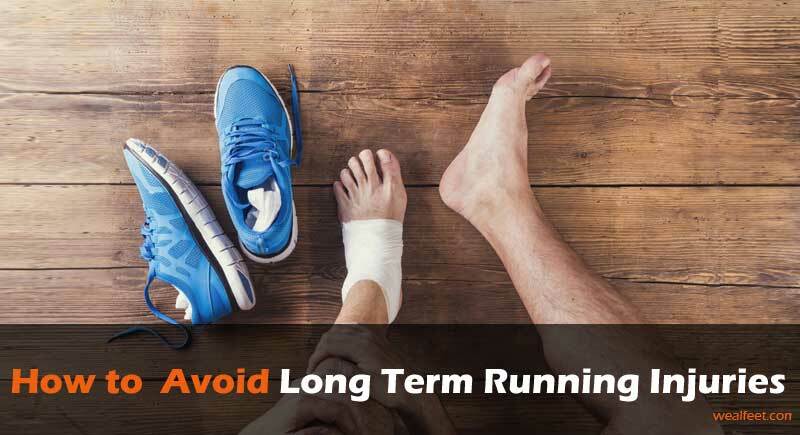 It is crucial to learn how to avoid long-term running injuries. In fact, most long-term injuries that occur on the running track are avoidable. Overuse of muscles, tissues and ligaments. Remember that shoes with extra cushioning prevent pain and inflammation. The painful condition of plantar fasciitis can get worse with poorly cushioned shoes. Make comparisons of different types to find out the best. Plantar fasciitis is a long-term condition that is often manageable with high-quality shoes. Insist on shoes with the latest technological advancement regarding cushioning. Shoes that are well cushioned will protect your feet from blistering. Improved cushioning is necessary for comfort. Comfortable shoes are highly recommended for safety purposes. High-quality running shoes will help to protect you from long-term injury. Recommended shoes must have high-quality traction. Generally, traction prevents slippage on the track. Always check the manufacturer’s details about the specifics of the traction. The quality of traction often differs from one brand to another. It also helps to find other people’s opinions about the traction quality. Online reviews from Amazon.com can guide on picking the right shoes. The reviewers will tell you how the traction performed on different surfaces. You can prevent long-term running injuries by using shoes with a wide base. A wide base is crucial for providing perfect stability. You will notice that shoes with narrower bases are very strenuous to the lower feet. A proper base should also provide a firm connection between the toes and the heel. Such an effect is crucial for enhancing the quality of motion. Top quality shoes feature a uniformly wide base that is designed to improve the lock-down mechanism. With such shoes, you are less susceptible to accidents on the track. We like to think of ankle support as some feature of comfort. However, ankle support is crucial for injury prevention. Ankle injuries are very common on the running track. Ordinary shoes may lack features that enhance ankle support. Top-rated running shoes offer a firm, but comfortable ankle support. Ankle injuries occur because of the hard impact on the rear part of the feet. Do not expose your ankles to injury by running with poorly designed shoes. Before you buy shoes, try them on your first to determine the level of support. You need great ankle support for comfort and safety. Runner’s knee injury is one of the most common injuries that afflict athletes. Avoid drastic increment of mileage without professional guidance. Your knees, joints, and feet have a naturally limited capacity. The runner’s knee condition is usually felt behind the kneecap. The condition is usually caused by downhill running and heavy pounding. Weak hips and muscle imbalances are known causes of runner’s knee. To prevent this injury, try and focus on uphill running. You could also practice regular massage to manage the pain. Ensure that your trainer approves of any changes in your daily mileage. Some long-term injuries happen because of general unfitness. Pre-workout sessions and post-workout sessions are crucial for excellent running. Fitness experts recommend the stretching of your calf muscles after running. You must also perform some light exercises before hitting the track. General unfitness causes some long-term injuries. Always maintain fitness if you want to avoid long-term injuries. Seasoned athletes often engage in constant training to sustain their fitness. Stretching of calf muscles, sit-ups and jogging are important for safe running. Your body needs vital nutrients and sufficient calories for safe running. Many athletes suffer because of insufficiency of calories. Carbohydrates and proteins are crucial for muscle development. You need vitamins to nourish your body and energize the tissues. Drinking enough water ensures that you are sufficiently hydrated. A strong and healthy body functions as a safeguard against injury. Ask your fitness expert for the right kind of supplements for your body. Remember that good dieting also hastens the recovery from injuries. Experienced nutritionists will guide you on the right foods that promote healthy running. Nearly 80% of all athletes experience some injuries on the track. As a regular runner, you must be wary of the common types of injuries on track. It is also crucial to understand the major causes of such injuries. Long-term injuries are very common on the running track. Both experienced and novice runners are susceptible to injury. The best safeguard is to know the common injuries, their causes and ways of prevention. Generally, preventing long-term injuries is better than treating them. A good runner should invest in top quality shoes at all times. Good shoes will keep you stable and balanced on the track. Besides, such shoes are sufficiently cushioned to protect the feet against injury. Above all, do not push your muscles, tendons, joints and bones beyond their natural capacity. That is what athletic experts think about safety on the tracks.